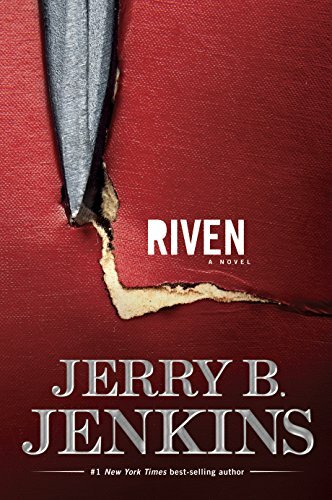 One of my Featured Favorite novels is Riven by Jerry B. Jenkins. 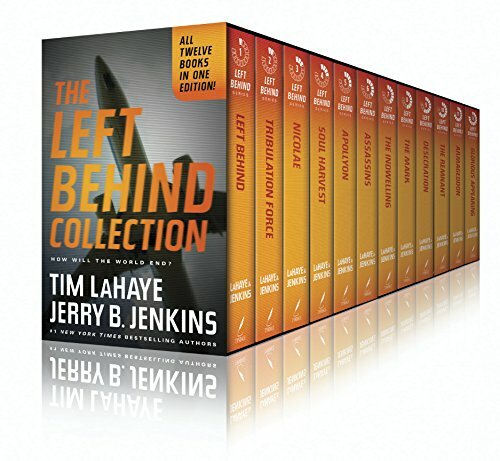 Jerry B. Jenkins is best know for authoring along with Tim LaHaye the Left Behind collection. I have a soft spot in my heart for Jerry B. Jenkins because of his role as mentor to aspiring authors. How that got traction . . .
My triplet grandchildren were born in 2005, and I was so grateful they arrived alive and thrived, I made a pledge to God to leave them a legacy of faith in writing. At the time, I didn’t know what I would write — or how. So when an essay contest opened up on a San Antonio Christian talk radio program, I entered. Thinking I wouldn’t win, I told no one. What did I have to lose? 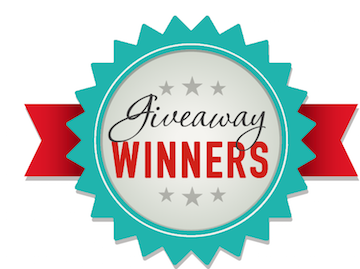 But when I won, I was flabbergasted to say the least, especially when I learned my prize: a trip for two to the Writing for the Soul Conference in Colorado Spring, sponsored by Jerry B. Jenkins. My husband and I boarded the plane, and I wondered to myself where the journey to writing would ultimately take me. I stood in the Broadmoor ballroom knowing zero about publishing, editors, agents, pitching, one sheets, elevator pitches, synopses, book blurbs–all a foreign language to me. Fast forward to 1912, and I’m part of a residency of aspiring authors sponsored by Jerry B. Jenkins in Manitour Springs, Colorado. Then along came 2014, and I learn I’d won the Jerry B. Jenkins Operation First Novel Contest, and my novel--The Calling of Ella McFarland–would be published. Imagine my shock and delight in 2016 when it received the American Christian Fiction Writers Carol Award for Debut Novel. And it all began with Jerry B. Jenkins. Wow. I‘ve read almost everything this prolific, ultra-best-selling author has written, but Riven takes first place in my estimation. A young man with a troubled past . 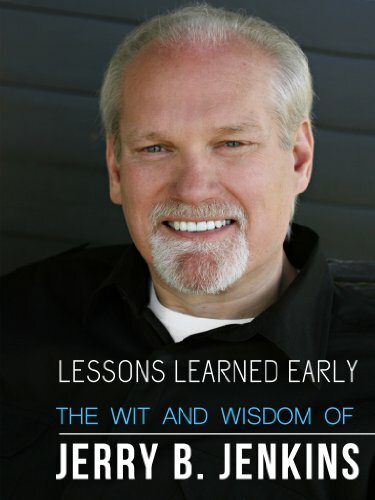 . . A failed pastor rejected by those he wants to help . . .
Brady Wayne Darby and Thomas Carey couldn’t be more different. One is a criminal whose worst crime is the one he’s about to commit; the other is a man hoping desperately to make a difference. One diligently serves himself; the other diligently serves God. And yet both are in dire need of grace. Riven is a gritty, compelling, and gut-wrenching story of heartache and redemption. Riven will remind you that the love of God can transform even the hardest heart. Immerse yourself in the acclaimed story of a man who seems hopelessly lost before he meets the One who can see even the most troubled soul. It has, Jerry. It always will. Thank you. I‘ll send you the Kindle version of this wonderful novel to someone who joins our conversation below. So please join us. Lord, we thank You for those who have come alongside us through the years to help direct and lift us up according to Your will. Jerry B. Jenkins is a man You’ve used to do just that for countless Christian writers. And he presents the message of Your redeeming love in Riven in a unique and powerful way. Thank You for using him. Please bless each word he writers for You. I’ve read most of Jerry B. Jenkins’ works and I really enjoy the accuracy of the Biblical research in each one. My gratitude is that his books encourage and inspire his readers to do their own research. Hi, Anita. If you haven’t read Riven, I think you’ll find it surprising. Writing doesn’t come better than Jerry Jenkins’s. I hope you get to read it too. thanks for the chance to enter! I agree with Alicia (who commented above me) that “Riven” sounds really intriguing. Can’t wait to read it & soon too! Intriguing is a good descriptive word for Riven. The way the plot plays out all the way to the climax is amazing. Most unusual. Your book sounds intriguing and awesome! God is Good all of the time! Congratulations and God Bless you. Hi, Alicia! Riven is a very surprising book, especially if you’ve read other Jerry Jenkins books. It becomes astounding as it nears the end. I hope you get to read it.